The war against the spread and growth of cancer can be won with the help of essential nutrients and the cancer-fighting properties of essential superfoods. You can cut down your risk for developing cancer by simply adopting a wholesome and healthy diet. There is an abundance of medical research that validates the claim of treating and preventing cancer with plant-based foods that contain protective phytonutrients, and other naturally-occurring compounds that fight against cancer growth. Be sure to brim up your daily diet with at least nine servings of colourful fruits and vegetables, along with these six potently powerful superfoods that we’ve picked out for you. Cruciferous vegetables, such as broccoli, kale, cabbage, and cauliflower, are packed with cancer-fighting nutrients. Broccoli, however, contains the highest doses of sulforaphane, which powerful potent naturally-occurring compound that cleanses out cancer-inducing chemicals from the body, and enhances the protective enzymes within the body. Research reveals that sulforaphane aids in eliminating cancer stem cells that allow tumour growth. 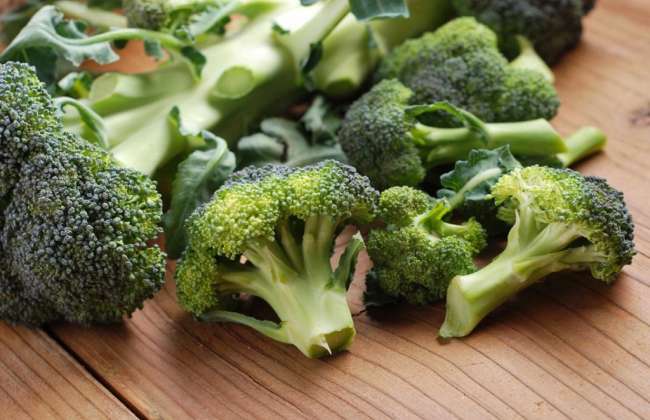 Broccoli aids in fighting off the symptoms of bladder, liver, skin, breast, lung, stomach, and prostate cancers. Eat as much broccoli as you can, because the more you eat, the greater the benefits. Toss it in your casserole recipes, pizzas, pastas, omelettes, salads, soups and even grilled meat.